The electro mechanical piano has been sampled over and over, so why do it again? One reason is because each one has its own specific sound, and this one, the Mark 2, has been overlooked by many other companies, while it has a distinctive sound that especially comes to life in soulful ballads, but also holds its own in more upbeat music styles. Another reason is that, for all the work that’s has been put into recreating this kind of instrument, playing the real thing always tickles us in a way that the sampled counterpart just doesn’t. So what is the big differentiator? 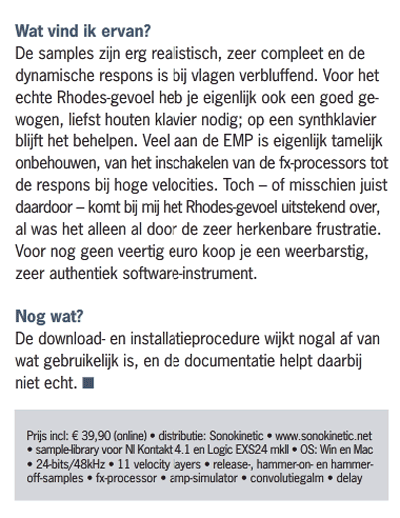 We think much lies in the imperfection of a real instrument…and that’s what we tried to capture in this sampled EMP. Our mission statement on this one was to recreate the playing experience of a real, vintage instrument in a way that hasn’t been done before, and we think we succeeded! 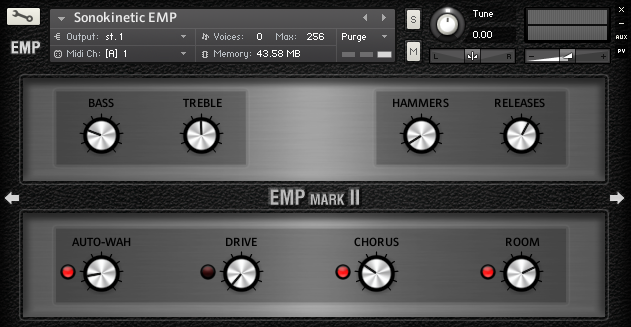 We kept the main screen of EMP as simple as possible, mimicking the original instruments’ one, with only a ‘volume’ and a ‘bass boost’ knob. 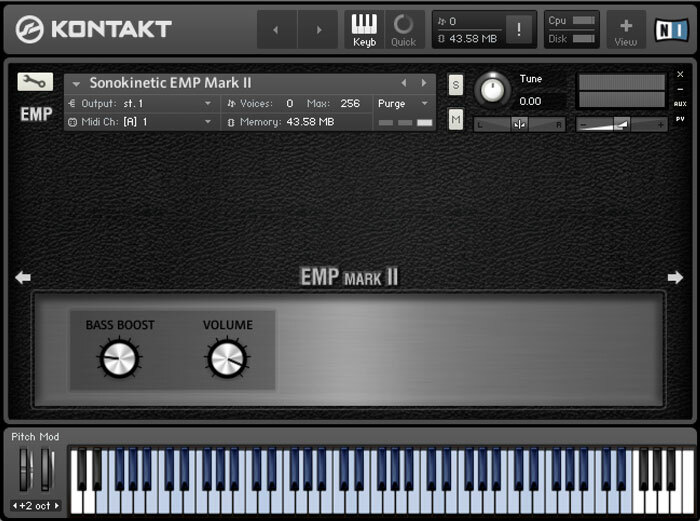 These have been programmed to do what they do on the real instrument, if you want more control over Eq, you can go to tab two by clicking the arrow on the right hand side of the interface. 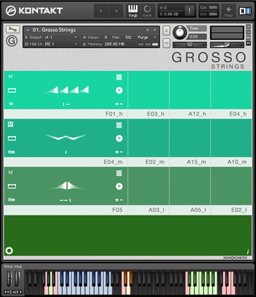 The second screen is the home of the Fx master section, here you apply two-band Eq and decide the levels of each effect and the volume of hammer noises and release noises. When you dial in an effect, the led turns red, indicating that this particular effect is active. Hammers/Releases: The Hammers knob dials in the sound of the hammers returning to their position when you release the key. These sounds are recorded inside the instrument, and the rattling of the hammers falling back can add tremendously to the feeling of playing an old, vintage, mechanical instrument. Also the ‘thump’ the hammers give when you strike the key becomes more pronounced when you turn this dial up.The releases knob decides the volume of the release sound when the tines are being damped. 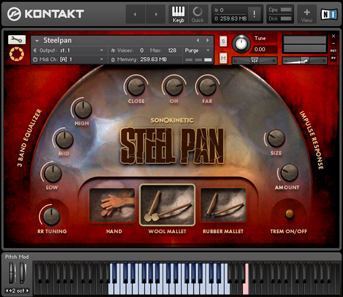 This too makes the vintage feel stand out, with the rattling sound of the releases adding character to your sound, and adding sort of a rhythmic layer to it. Fx section details page: This page is where you control everything that is going on effectwise, you choose which pre Fx or Mod Fx you’re gonna use, and how fast those work. Also here is the Cabinet section, where you amp your beast, and a selection of exquisite IR’s to enhance your sound. 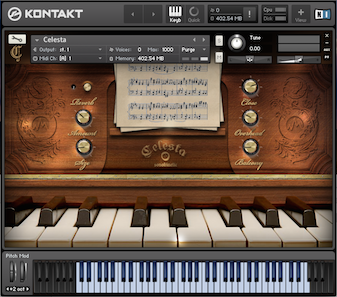 Cabinet section: There are six cabinets and a DI simulation included in this instrument, drive is controlled on screen two, whereas on this page you can shape the sound using cabinet EQ. 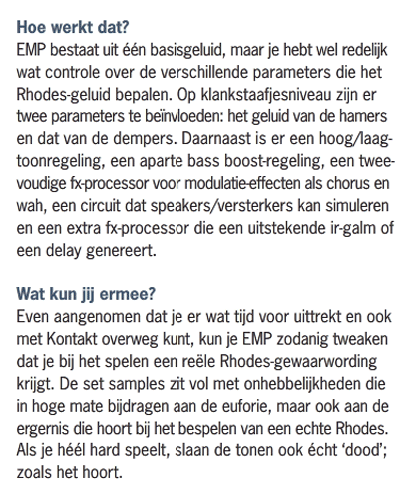 We prefer the distorted sound a bit darker (cut high/boost bass) on the EMP, but we’ve left it open so you’re free to make it sound however you see fit. Sonokinetic is gradeful to be working with perfect professional and dedicated musicians, techincians, programmers and designers. We respectfully credit those involved in the realization of this beautiful instrument and in this way would like to thank them for making the magic happen. 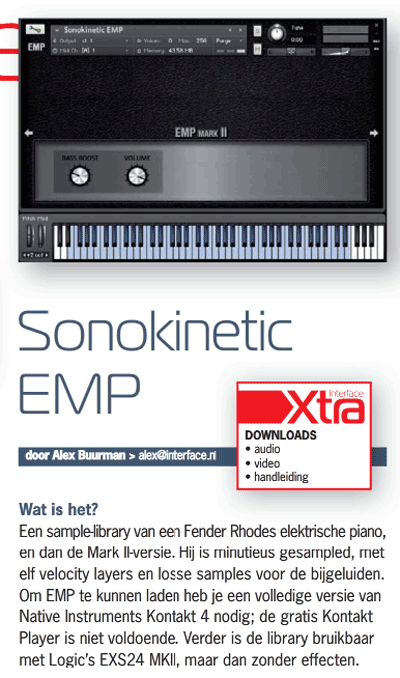 Sonokinetic provide high quality yet affordable sample packs. 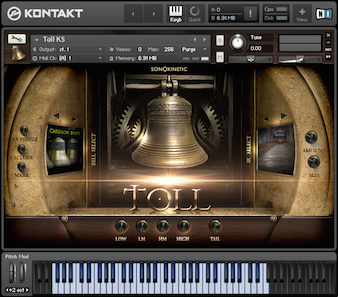 Ranging from authentic sounding orchestral samples through designed sound special FX patches to Contemporary music sample libraries and construction kits, the company aims to serve the whole user spectrum, from composers to sound designers to video editors.. Using the best instruments, acoustics and technology and hiring top-notch musicians for performances we try to deliver very specific product packages.